Whenever a pet theory doesn't work out, there's always a conspiracy theory to fall back upon. I'm seeing this with some of the OIT folks as well. I don't know if Carlos thinks that there's a conspiracy, probably not. But he did write something really dumb at his blog about the Copenhagen group trying to control the narrative, or something like that. It's alarming that some people might actually stumble upon his website, read his nonsense, and actually believe what he's writing. I assume the obsession with Suvorovo-Novodanilovka is because the names are colorfully long and therefore at the "exotic fringe", akin to Shulaveri-Shomu (which also alliterates). Some non-academics it would seem can find themselves irresistibly attracted to such things, project into them, and can't stop. He's clearly identified with it and now feels the authority to discredit legitimate institutions such as the CWC. In my opinion Damgaard is right i.e. there were no migrations of Yamnaya Bronze Age pastoralists to South Asia. There was a later event consistent with a Late Bronze Age entry of IE languages into South Asia i.e. migrations of Sinatshta and Andronovo derived tribes. They came from Corded Ware complex, not from the steppe Yamnaya, reflecting a secondary push from Europe to the east through the forest-steppe zone. Indo-Iranians didn’t come from Yamnaya. It is a tragedy for Carlos. Were there some "steppe" individuals' DNA found in the Globular Amohorae Culture in an area that latter on was occupied by the Corded Ware Culture in N. Europe? He needs to be outed as the troll that he is. The link to Narasimhan‏'s tweet that you posted doesn't work. So maybe he deleted it? Carlos claims that Indo-Iranians were a fusion of Uralic-speaking Corded Ware and Indo-European-speaking Poltavka. So for him it's not a tragedy that Indo-Iranians didn't come from Yamnaya. But what he doesn't seem to understand is that there wasn't any fusion per se between Corded Ware and Poltavka, because South Asians are now best modeled as Sintashta-like, in other words with steppe ancestry that is more western than most Corded Ware samples. Thank you for clearing this up, (and in some detail, too!) and my apologies for having brought it up here. I saw that tweet too, he deleted it. OK, yeah, I've seen a couple of silly tweets on related topics from Narasimhan‏, so I'm not surprise he posted that and deleted it. From memory he once tweeted that the Steppe_MLBA ancestry in South Asia was mostly female mediated, or something of the sort. So I'm guessing all that R1a-Z93 in South Asia is also mostly female mediated. Hehe. By the way, what was corrected in the Damgaard paper? Yeah, Sintashta didn't have Poltvaka ('R1b Z2103 nation') admixture. The transition in Russia from R1a Z2103 to R1a Z93 obviously represents a shift from one Indo European 'nation' (tribe, whatever) to another. European Scythians, Sarmationas though probably had mixed Yamnaya and Srubnay bloode though. One piece of evidence for this is pigmentation alleles. Yamnaya and Sintashta had very different pigmentation. They were IE-speaking pops that had been isolated from each other for several thousand years. Nothing suggests they admixed a lot after they meet up initially. Obviously stuff, got mixed up afterwards, maybe after their ethnic-identities got meshed up changed overtime. So is Corded Ware now synonym for Sredny Stog and Suvorovo and even maybe Bug-Dniester ? mtDNA is another line of evidence that can be used even though Afanasiveo/Yamanya & Andronovo/Sintashta had closely related mtDNA. Not sure what you mean, but I suspect you're conflating the CWC with older cultures on the PC steppe that used corded ware pottery, and were probably ancestral to CWC at some level. Isn't it then more accurate, now with the latest Genetic Evidence at hand, not to use the word Yamnaya at all when referring to a Genetic Mixture and establishment of this Mixture that predates Yamnaya and was already widespread in the Pontic-Caspian Steppe ? I don't know, I haven't yet seen all of the new data from the North Pontic steppe. You think he'll change his theory? I don't think so. I reckon he'll double down and keep digging that hole. They added one new page “RESEARCH ARTICLE SUMMARY” where they summarized their main article. The new version also has 11 pages and old had 21 pages but the change in page number seems to be mainly due to new layout and typesetting. I haven’t discovered any changes in the content of the main article. @ Davidski and re "It'll be amusing to see Carlos try and squirm out of the data and conclusions in the soon to be published paper on the spread of Uralic languages, N1c and Siberian ancestry into the East Baltic during the Iron Age (ie. after CWC was long gone). In Uralic..."
While there's no reason not to speculate on many Uralic speaking waves coming to East Baltic (and even Central Sweden, for that matter) even in the Iron Age, the initial introduction of Uralic in the area seems to be related to Bronze Age migrations. Apparently the Uralic speaking groups can be identified with archeological material such as textile impressed Bronze and iron Age ware, Mälar Akozino and Ananyino type of bronze and iron axes and burial habits related to "House of Death" type of constructions, such as tarand graves, apparently imitating or even being a part of a real house. Perhaps parts of the East Baltic were Uralic speaking during the Bronze Age, but if so this was the later part of the Bronze Age, and the main linguistic and population shifts probably happened during the Iron Age, because from what I'm hearing this is when N1c becomes common enough to pop up in a few random samples. @ D: Yes, that makes sense. However, the Uralic expansion apparently reached Baltic area in two almost simultaneous waves, the more northern and maybe slightly earlier one being linguistically related to nowadays long gone groups of Central Russia such as Merya, but also Saami. These people were apparently herders (having animals such as sheep i.e. no reindeers then), fishermen and hunters. The more southern and possibly slightly later one leading into Baltic Finnic was apparently more based on permanent agriculture, not just opportunistic slash-and-burn type of activity. N1c is already up in the kola Peninsula at c. 1500 bc. Bronze age samples from Finland are missing due to the bones almost never being preserved from this period in Finland ,and volosovo culture samples are also missing. As Huck Finn says, the connection between volosovo turning into net/textile ware and then moving into Finland (not so much the east Baltic south of Finland) is dated c 1800 bc. Loanwords from pre-germanic into pre-saamic/pre-finnic seem to go back to a time when laryngeals and other very archaic features of IE were still present (but words only known from the germanic branch). We also have significant Nordic bronze age features appearing all over the Finland coast from around 1800-1600 bc, where these earliest germanic > finnosaamic loanwords could have been exchanged. Putting the arrival of Finnish and saamic as late as the iron age would either have to ignore these loanwords or suggest that the pre-germanic still looked almost completely PIE as late as the iron age. I find that unlikely since then most of the sound developments between PIE and proto-germanic (quite a lot) would have to take place in less than a thousand years, after a period of 2000 years with almost no change at all. Sam: They were IE-speaking pops that had been isolated from each other for several thousand years. Nothing suggests they admixed a lot after they meet up initially. Obviously stuff, got mixed up afterwards, maybe after their ethnic-identities got meshed up changed overtime. Sam, I appreciate having you around, but I don't know why you say things like this after years of reading on the topic. Sintashta culture is about 2100-1800 BCE (average 1950 BCE) and the Yamnaya culture is about 3300-2600 BCE (average 2950 BCE). Assuming both spoke descendants language of pIE (or at least post-Hittite, post-Tocharian late-pIE), they would both have spoken languages which were in time depth likely about as diverged as Norwegian and Swedish or Italian and Spanish are today (just over 1000 years)! And that's assuming the earliest possible divergence. They can't be diverged for "several thousand years" unless either at least Yamnaya / Sintashta are not even IE. Thanks for the 'heads up' re Carlos Quiles. I openly acknowledge I read a lot of his nmaterial and at times linked to what seemed very well done maps, I thought he wrote well. But, will also acknowledge I do not have the level of expertise to know just how good/poor his writings were. At times I was doubtful of some of his conclusions, but consider we all get some things wrong. Based on your caution (and that I regard you as being pretty well on target), will be far more cautious of Carlos writings. I will still visit his site, but as said, with more caution. Yes, N-L392 was found at Bolshoy Oleni Ostrov, but it is very widespread and we don't know which branch(es) it was. Tying the arrival of the (pre-) Finnic and Sami languages in Fennoscandia to the BOO people has quite some issues with the phylogeny and current distribution of the Uralic languages. These pre-Germanic loans, are they found in all Finnic/Sami languages or only some of them? Are the sound shifts I presume they must have been affected by consistent with them having been part of the Finnic/Sami languages the last 3500 years? Or could they have been picked up by another, possibly (para-)Uralic language which then went to become a substrate to the Finnic/Sami languages? Davidski has stated that Fennoscandia appear to have received two different "Siberian" pulses, and the BOO people could then represent the first one and the speakers of Finnic/Sami the second, which would also the be one the Estonians have detected. I haven't looked closely at the spread of Uralic languages. Certainly not as closely as at the spread of Indo-European languages. If you check out my posting history, sometimes I stated that Uralic languages first arrived in the East Baltic region during the Bronze Age, and at other times during the Iron Age. That should tell you how undecided and confused I am about what really happened. But one important thing to keep in mind, I think, is that various subclades of N1c may have been present in Northeastern Europe prior to the Uralic expansion, although probably not in the East Baltic area, and then a couple of subclades may have come in from as far as, say, the Urals or West Siberia, with the early speakers of Uralic and erased most of the rest. I think the first wave of N1c was brought to northeast Europe with Seima-Turbino related peoples and early Netted Ware. Both have material presence in northern Finland and could possibly explain BOO's N-L1026. Either way it is pretty clear modern N1c branches and Uralic languages are related entering the Baltic region together circa late BA early IA in waves stemming from the west-Uralic Netted Ware culture. Something I'm not sure about however is N1c's presence in Volosovo/Garino-Bor and prior. Both seem to have origins in the hunter/fishers of the same area and I cant find anything on a neolithic east-west migration. Jorma Koivulehto (fx in 2002), Petri Kallio (fx 2012, 2015) and Ante Aikio (fx 2004, 2012) have written about the stratigraphy of loanwords going from Pre-Germanic to Pre-Saami and Pre-Finnic (meaning at a stage looking almost Proto-Uralic but words only found in the "West Uralic" or Finno-Saamic branch, and Germanic words looking "late/post PIE" but only found in the Germanic branch). All writers (at least in these particular papers) seem to date the earliest layer of these contacts to the Bronze Age and connect them with possibly the arrival of (eastern) Netted Ware in Finland. There is also another (western) "Netted Ware" in the East Baltic which is not the same as the eastern Netted Ware, by the way, and appearing earlier. Some of the earliest loans are attested in both Finnic and Saamic, some in either Finnic or Saamic. Koivulehto posits a small handful that he thinks is even earlier, but most of them (in my and others' opinion) look doubtful as Germanic loans (wrote my Bachelor's thesis about those). Of course anything (like ealy "Wanderwörter" from earlier Baltic "Para-Uralic" (Kallio's coinage) languages is always possible, but I would say from the linguistic material, that it points to the earliest Germanic-FinnoSaamic contacts being most probable in the Bronze Age. The problem is of course that we have so little data to go by. Y-Haplogroup N* is also found in Botai, and I suspect we might see a quite mixed landscape of Y-haplogroups, fx Q, R1b, R1a, N lineages etc in the areanorth of the Pontic-Caspian steppes, like we see a mix of haplogroups across the North Eurasian forest-steppe east-west belt. And especially at the opening of the Seima-Turbino horizon c. 1900 BCE. Which of these pulses or gene flows (even different arrivals of N1c in Finland and the East Baltic) should govern which language arrived where, I think is quite difficult to ascertain still. However, according to Tallevaara et al. 2010, there is a great dip in C14 dates (collected randomnly) in Finland around 2000 BC which could make way for a new language appearing without much competition to the area from the Volga-Ural region (Eastern Netted Ware 1800 BC). Whether another decline and wave could be comparable to the arrival of another group that we could assign to Finno-Saamic, in the Iron Age, I don't know. Anything is still possible. But I think that maybe the early loanwords are too numerous and regularly increasing throughout the period that they could all be assigned to ”Wanderwörter" or Para-Uralic substrate transfers from Pre-Germanic > Para-Uralic > Finno-Saamic. I know Asko Parpola now wants to connect it with the Iron Age Mälär-Ananino link, but I think he was more correct in 2012 when he posited his Bronze Age Netted Ware link, because the earliest loanwords seem to early to be Iron Age. And the end of the day, I think more data on how "overwhelming" each pulse of whole-genome and haplogroup changes are (and how sudden) in northeastern Europe, can be a good indicator of language shift. But so far, I think the samples are so few that we cannot really see these things yet. In "The first horse herders and the impact of early Bronze Age steppe expansions into Asia," Damgaard et al. (2018) have reported that one of two male specimens from the Ust'-Ida site of "Late Neolithic" ceramic-using hunter-gatherers (fl. ca. 5000 ybp near the Angara River in the Cis-Baikal region) belongs to N1a1-M2080. This individual, DA345, also has been determined to have belonged to mtDNA haplogroup D4j. The authors seem to have determined that this specimen is negative for markers of several downstream clades ("N1c1a," "N1c1a1a1," "N1c1a1a2," "N1c1a1a1a1a," "N1c1a1a1a1a2a," "N1c1a1a1a1a2b," "N1c1a1a1a1a4a"). Does anyone know precisely which Y-DNA SNPs were found to be negative for UstIda_LN DA345? Is there any example in the literature of a specimen belonging to N1c1-M46/Page70/Tat or N1c1-L395/M2080 that predates UstIda_LN (ca. 5000 ybp)? How is that even remotely possible when all the evidence appears to suggest CWC primarily spreads via Yamnaya R1a, infiltrating via East to N/NW Europe? Does western Yamnaya R1b that infiltrates W/SW over successive waves (Gimbutas) along the natural extension of western steppe up the Danube and East bank Tisza rivers (V. Heyd) even part of the CWC? By the way, evidence (remains) of Yamnaya derived R1a appears mighty sparse down in R1b “cowboy” country (Hungary). Conversely at same / similar time periods, why is there limited remains of Yamnaya derived R1b further N/NW and NE in “cwc country”, making pots? "Sam, I appreciate having you around, but I don't know why you say things like this after years of reading on the topic. Sintashta culture is about 2100-1800 BCE (average 1950 BCE) and the Yamnaya culture is about 3300-2600 BCE (average 2950 BCE). " I wouldn't have made that mistake. It is good you pointed this out just in case I did make that mistake. I understand the age difference between Sintasta & Yamnaya. I see in part in my post I accidentally refered to them in a way that sets them up as contemporaries. I was actually referring to 'R1a Z93 nation' & 'R1b Z2103 nation' not Sintahta & Yamnaya. These are terms for the broad groups Yamnaya & Sintashta belonged to. These groups are not restricted in time to Yamnaya & Sintashta. At one point, these groups were contemporary to each other. Each existed in a genetically stable form for probably almost 2,000 years, ranging from maybe 4000 to 2200 BC for R1b Z2103 and 3000 to 1200 BC for R1a Z93. So for several hundred years, they were contemporaries. R1a Z93 Poltvaka_outlier is contemporary to R1b Z2103 Poltvaka. He represents the first wave of R1a Z93 into Russia. "Assuming both spoke descendants language of pIE (or at least post-Hittite, post-Tocharian late-pIE), they would both have spoken languages which were in time depth likely about as diverged as Norwegian and Swedish or Italian and Spanish are today (just over 1000 years)! And that's assuming the earliest possible divergence." At some point, R1a Z93 people moved in while R1b Z2103 people were already living in Russia. Both spoke IE-languages. Their IE-dialects had probably been isolated from each other for a really long time. I'm not referring to the language Sintashta spoke & Yamnaya spoke. I'm referring to the language that R1a Z93 & R1b Z2103 people who were contemporary to each other spoke (2900-2200 BC). It seems to me that you're confusing Y-chromosome founder effects with overall genetic structure. Lets not forget the upcoming Majander et al paper which seems to suggest Saami like people lived in south Finland as late as the 5th century AD and that modern Finns are the result of a late Iron Age-historical period migrations. In this scenario Balto-Finnic does not become a prominent language in Finland until very late, being relegated to Estonia and maybe coastal Finland. How is that possible? Is it supported by evidence? And why stop at 2200 BC? There is a clear divergence of more Western steppe R1b in the EBA at 3500 to 2800 BC S/SW Europe that circles back N and NE pushing R1a up and further East and no one seems to be discussing it much. Why? It's pretty clear now that patriarchal herder clans dominated by R1a-M417 and R1b-L51 migrated from the steppe to the west, while those rich in R1b-Z2103 mostly moved southwest/south into the Balkans and West Asia. No one knows yet the precise reasons why they migrated out of the steppe. But they seemed to have been taking advantage of their high mobility that they developed on the steppe to perhaps escape things like drought and to fill vacuums left by collapsing cultures outside of the steppe. However, clans rich in R1a-M417 also eventually moved east deep into Asia, probably thanks to newly acquired chariot technology and horse riding skills. These steppe groups weren't chasing each other. This is just an illusion. They were interacting with the groups that they met outside of the steppe, including each other, and taking advantage of their high mobility to migrate whenever and wherever they found it useful or necessary to do so. The present-day Y-chromosome haplogroup landscape in Europe is in large part the direct and indirect result of these events, but a lot of it post-dates the expansions from the steppe by several thousand years and can be traced back as recently as the Migration Period. What is going on in the EBA in the Lower Danube EBA and why does Yamna R1b groups punch through (instead of R1a groups) in that area and beyond SW and W through Hungarian Danube plain and general Balkans into heartland Central SW and W Europe (over successive waves of infililtration and immigration) over apparently more than a Millenia? Why? Where is steppe derived R1a during this particular expansion? Why is brother Steppe R1a groups seemingly ‘getting the hell out dodge’ moving North at same time? We don't yet know what sort of Y-haplogroups Hungarian Yamnaya had. Those samples are coming soon. But for whatever reason, the R1a-M417-rich ancestors of the Corded Ware people were some of the first steppe pastoralists to migrate out of the steppe, and they decided to move northwest. They were more or less followed later by the ancestors of the eastern Beakers. We might never know exactly why this happened the way it did. @Davidski: with all due respect, I understand there was substantial mixing in area of modern day Germany, but R1a-M417 seems to show up later in Central / South Germany through CWC expansion (generally E to W and more specifically NE to N and NW), not through the successive waves of more R1b migrants from low to high Danube up to Rhine that got there first ....Why? I think you'll find that the earliest populations largely of steppe origin in south Germany and nearby areas were Late Neolithic Corded Ware people rich in R1a-M417. They seemed to have been successful here for a time, but then disappeared without much of a trace. The paternal descendants of these more westerly Corded Ware groups can be tracked via R1a-L664, and today they're mostly found around the North Sea, but even here they're not very common. Beakers with R1b-P312 showed up later in this region, as Corded Ware was disappearing or long gone. It's not yet clear where they came from, probably from the Northwest Pontic region via either Poland or Hungary, or both. We don't know that yet. They were successful here for a time too, but then also disappeared and were largely replaced by the bearers of R1b-U106 and I1. Please correct me if I am wrong here, but that rather phallus migration up Danube and east bank Tisza rivers during EBA is almost (if not all) Yamna steppe derived Y R1b, with R1a clans up above Carpathians moving N/NW. I don't know, because the relevant samples haven't been published yet. 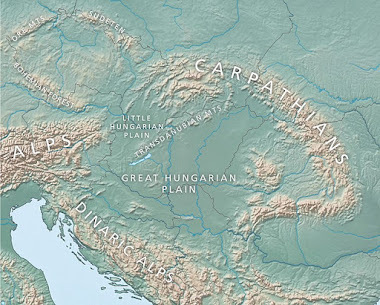 But if that was indeed a migration of R1b-rich groups, then they waited for a good while somewhere before moving north and west of Hungary, because like I said, the first steppe-derived groups in Southern and Central Germany and Czechia were R1a-M417-rich Corded Ware people, and eventually they were followed and replaced by R1b-P312-rich eastern Beakers. "It seems to me that you're confusing Y-chromosome founder effects with overall genetic structure." Do you not think R1a Z93 & R1b Z2103 samples represent two fairly homogenous ethnolingustic groups? The transition from Poltvaka to Srubnaya, looks like the transition from one IE ethnic group with R1b Z2103 to another IE ethnic group with R1a Z93. Am really enjoying your exchanges just above. I like the issues you raise Bogdan and really appreciate the responses you are offering Davidski. - Allowing that P312 Bell Beakers apparently entered Britain around 2,500 BC and their Y-DNA became dominant in 200-300 years (up to 90%) - how the hell did they get to Britain so early and with such a dramatic impact. The dates for Yamnaya R1b migrations and what happened in Britain are enigmatic. It seems to me that during the Eneolithic/Bronze Age there was a continuum in the steppe/forest-steppe zone of closely related populations that differed in terms of their levels of Middle Neolithic European farmer admixture, with much higher levels of this admixture in the western groups, and Y-chromosome haplotypes, with major founder effects of R1a-Z93 in the west and R1b-Z2103 in the east. Not really sure yet how R1a-Z282 and R1b-L51 fit into this, but they were probably somewhere north/northwest of the Black Sea. But what seems to have happened is that over a fairly short period of time everyone became more and more mobile, so that this continuum got shuffled around, via some major migrations from the east to west, and west to east, so that it eventually disappeared. And and as part of this process, some relatively different looking steppe/forest-steppe pastoralist populations suddenly showed up in each others' territories. But they were only relatively different, and still closely related. Yes, I'm really looking forward to those Hungarian and Yampil Barrow Complex Yamnaya samples, but I'm afraid that even after we get them we'll still be a few years and tens, or hundreds, of samples away from understanding what really happened in this context. @Sam, OK. That sounds pretty much like Carlos Quiles theory then? In which he regards the 'R1b Z2103 nation' as proto-Indo-European and the 'R1a Z93 nation' as proto-Uralic. Though possibly with different time depth. Only I'm not sure if you agree on the language families. What language families do you identify with each, or are they on language families which are Uralic/IE like but today are unattested? At what point did either/both of these groups switch to IE? Would they not have been speaking IE at any point at which Yamnaya descendent cultures that preserved Yamnaya genetic structure would have come into contact with Sintashta cultue? I consider, R1a Z93 & R1b Z2103 to represent two different early IE-speaking ethnic groups. "They can't be diverged for "several thousand years" unless either at least Yamnaya / Sintashta are not even IE." If PIE dates to 4000 BC, it can be two thousand years by 2000 BC. Now that I think about it 2,000 years is probably wrong. Poltvaka_outlier (2900BC) might have lived when the Z93 clans moved into Russia. This makes 2,000 years of seperation before interaction unlikely. 1,000+ years I think is likely. From Poltvaka_outlier to Sintashta, 1,000 years (2900-1900 BC), there's continuation. No signs of Yamnaya admixture. Carlos's theory is Yamnaya gave Sintashta IE-speech. But DNA doesn't suggest signifcant Yamnaya (Z2103+) heritage in Sintashta. Ah, OK, pIE has to be well pre-Yamnaya under this scenario though, but I suppose you can get to 2 kya at most (something like Norwegian-Dutch / English-German language split) if you go with a pre-Yamnaya pIE split off of early Eneolithic Steppe groups speaking pIE into a pre-Corded Ware, pre-Yamnaya division that maps to the y division between the specific subclade dominated material cultures. Not sure what evidence there is for that though. (As well, so far, the Eneolithic Steppe groups from Wang's paper that looks to be ancestral to Yamnaya only showed R1b and one unclassified R1; so it still seems like you have to have some crossover of R1a (Z-93) at some point?). FWIW the R1b/R1a dichotomy seems to match the Satem/Centum split pretty well. We should take a more cautious approach. If Hittites/Sredny Stog/Sintashta and Corded Ware results come back as R1b+ we can ad them to Yamnaya/Afansievo/Bell Beaker/Vucedol/Sarmatian and then speculate about language. I tend to jump the gun before I get all the details. I don't know much about language & archeaology so I'm not ready for lingustic debates. For example, I used to think Sycthians and all IA Iranians were simply a continuation of Sintashta but the details revealed something different. My original point stands: Sintashta didn't have significant Yamnaya (Z2103+) ancestry, which doesn't match up with Carlos's theory of Uralic R1a(s) learning IE from Yamnaya (Z2103+). There are lots of wise sayings about how difficult it is to predict the future. Studying ancestry is basically the same thing except you try to predict the past. Then, Ancient DNA is basically a time machine. K36 results for two Alemanni individuals. (Wikipedia),They were Germanic confederation from southern Germany/Switzerland during the time of the Roman empire whose language is the main contributor to modern German. Alemanni cluster very well with northwest Germans & Dutch, the Germanic North Sea cluster. These people shouldn't be their direct descendants, they should descend from other Germanic tribes like Saxons. Maybe they have retained the genetic signature that Germania had as a whole in circa 0 AD. Did you mean that Allamanic should be closer to Elbe Germanic Genetically since they spoke Elbe Germanic ? Maybe the Lombards or some other related tribe had something to do with the language shift ? Who are we Estonians, and where do we come from? Speaking of the crackpottery that's the subject of Davidski's blog post, I have thanks to Mikkel started checking out teh writings of Petri Kallio, and I noticed that Carlos happily cites Kallio's "The Indo-Europeans and the Non-Indo-Europeans in Prehistoric Northern Europe", calling it a "Recent chapter". Good eye :D Yes that publication was a "little" delayed which is also showing in the contents of the book where several of the authors have a cross beside their name (RIP). Btw, as I understand Kallio (in his 2015 article, the most updated of his views to my knowledge), the Baltic countries only had Finnic languages arriving much later than in Karelia. And as I think everyone agrees on, Saami dialects were probably dominant in most of Finland until at least the Iron Age. With that in mind, I don't think the Iron Age appearance of N1c in the Baltic countries (cf. forthcoming Majander paper) says a lot about the arrival of Finno-Saamic in Finland and Karelia. What we need is data from Karelia and Finland, where we now only have a few samples from the Kola peninsula and nothing from Bronze Age Finland (unless I missed any news). I have tried to outline the Uralic situation (admittedly speculative because of the lack of data) according to Parpola 2012 and Kallio 2015 with turquoise culture areas on the map homeland.ku.dk (from c. 2500-500 BCE). Carlos seems to have updated his blog with a new post outlining his theory on the expansion of CWC/R1a-Z645/Uralic. He believes Netted-Ware is derived completely from eastern corded ware which its not, although influenced netted ware derives from Volosovo/Garino-Bor peoples moving west with Seima-Turbino and merging with the various corded ware cultures Carlos mentions. He also believes that N1c found its way into Finnic peoples during the Iron age via bottlenecks. This completely ignores every other Uralic people which also, without exception carry N1c. The phylogeny of N1c doesn't back him up either... different Uralic language groups carry different branches of N which ultimately descend from N-L1026 TMRCA 4800ybp. Not at all indicative of a IA bottleneck. I really don't think he understands what N1c in these IA Estonians mean. They are from Tarand graves which, according to Kallio are derived from Netted-Ware peoples in Russia. The people out there who actually think that Carlos has something to offer, and believe it or not there are people like that, and have interacted with him, so they have some sort of rapport happening, should really try to talk some sense into him for his own good. Because at this point it looks like he'll just keep pushing his nonsense no matter what, and he might spend years doing it, wasting time and making a fool of himself. And who were the stone age hunter gatherer Fenni that Tactius talked about who supposedly lived in northwest Russia. Were they Uralic? "In wonderful savageness live the nation of the Fenni, and in beastly poverty, destitute of arms, of horses, and of homes....Their common support they have from the chase....such a condition they judge more happy than the painful occupation of cultivating the ground"
From the notes to Tacitus: Germania, ed. J.G.C. Anderson. "Fennorum, the Finns, whom Ptolemy calls Phinnoi. This is the first mention of them. Those here referred to are not the ancestors of the present inhabitants of Finland, but are to be placed, in accordance with the order of enumeration, on the east of the Baltic, where they were neighbors of the Aestii. The original home appears to have been in the region of Moscow, whence they spread up to the Gulf of Finland as early as about 1500 B.C., so that they may well have flowed into Esthonia and northern Latvia before the time of Tacitus." Who knows. My vote is some Ket-like (in terms of development) Paleo-European people since dissolved into the regional Saami, in turn since dissolved into their replacements. Descendants of the Baltic HGs? Seems rather late, though. Did you read the links that Davidski shared ? Apparently the Uralic Language dates to 2500 years ago in that area. This is why I mentioned Herodotus and Aristotle because they lived roundabout near that time. Carlos seems to ramble on like a journalist piecing together disparate topics and facts with no editor, publisher and virtually no funds. @ Mikkel and re: "Btw, as I understand Kallio (in his 2015 article, the most updated of his views to my knowledge), the Baltic countries only had Finnic languages arriving much later than in Karelia. And as I think everyone agrees on, Saami dialects were probably dominant in most of Finland until at least the Iron Age." My understanding is that West Uralic of the Oka area was first split into three sublineages: a. (Baltic) Finnic, b. Meryanic-Saamic and c. Mordvinic. If N1c1 can be used as an indicator pointing to the time of arrival of these a and b. languages into East Baltic area, it can't have been too early. Maybe 1000 BCE or even slighly later, as there are no old enough local lineages. Any connection to N1c1 of Bolshoy Oleniy Ostrov is unclear. This could mean that the early Seima Turbino stuff and such in the Baltic area was related to something Para Uralic, but possibly not even that. It may well just be that the Uralic centres next to Seima (by Oka) and Turbino (by Kama) were just affecting the Baltic area culturally. Valter Lang, apparently relying on Kallio, is advocating an Uralic immigration model based on Southern and Northern Passages. The southern one apparently leading into Finnic, was related to Dvina. The northern one and possibly a slighly earlier one, leading into Saamic, was related to Ladoga drainage. Lang BTW mentions in his book (apparently relying on Kallio, forthcoming), that b-languages were also spoken in the areas east of Peipus lake i.e. next to Novgorod. The people living there, Ladogan Chud, were apparently a dialectal extension of the more eastern Merya, living for instance next to Galich, Jaroslavl, Kostroma, Rostov and such, which apparently all first were Meryan settlements. In other words, these Ladogan Chud spoke a language related to Saamic, but they most probably were not like modern reindeer herding type of Saami. Apparently they were sheep etc. herders, slash-and-burn-type of farmers, fishermen and hunters, most probably descending from a Bronze Age migration from the Oka area. Saami indeed preceded Finnic in most of Finland, but it may well be that it was also a latecomer in the area. Aikio mentions, if I recall it right, that some paleo languages may have been spoken in Finland as late as in the Iron Age. Saami, on the other hand, has a sizeable linguistic substratum, descending from those languages. I'm pretty sure that Carlos is obsessed with convincing as many people as he can that the Corded Ware people and R1a-Z645 didn't come from the steppe, and were instead tied to the expansion of Uralic languages to the north of the steppe. And I'd say that he has managed to convince a few naive unsuspecting internet users of this. But we certainly know enough to know that this is a false narrative. So letting him go on his merry way without any sort of challenge is probably not the best idea just because he makes maps and stuff. @Davidsky Thanks for this post. That guy really had a newbie like me confused. It is all clear now. We have to distinguish real evidence from smoke and mirrors of Carlos. I think the most important discovery of recent years is the confirmation by genetics of links predicted by linguists between Balto-Slavic and Indo-Iranian populations. Here clearly genetics, linguistics, archeology etc. all say the same thing. CWC is the only known unquestionably IE culture which links Europe and India. All the rest is smoke and mirrors. People speculate but the truth is we don’t know if Khvalynsk was PIE and we don’t know what languages were spoken in Repin and Eastern Yamnay because R1b-Z2103 does not correlate with any known IE languages and is not ancestral to other R1b which correlate with known IE languages. We know that in IE cultures languages should be transmitted with Y-DNA and correlate with Y-DNA. In case of CWC and R1a-Z645 we have an obvious correlation with Balto-Slavic and Indo-Iranian languages. As far as I know not a single R1b was found among Indian Brahmins who are direct descendants of Vedic Aryans coming from Sintashta/Andronovo. So claiming that East Yamna-Poltavka/R1b-Z2103 was the mother culture for Indo-Iranians by Carlos has no ground. It is smoke and mirrors. It seems that Tacitus used the word Fennorums to describe the inhabitants of Finland who were not farmers. To claim that these Fennorum came to Finland c. 1500 BC must be fantasy. The Finnish language is closely related to Estonian, and with all probability the linguistic ancestors of modern Finns were a Uralic population closely related to Estonians, farmers who started actively colonizing the inland areas during the Middle Ages and thereafter. While colonizing all suitable farming land in the inland areas, they mixed with the previous inhabitants that were apparently called Fennorum by Tacitus. Modern Finns owe c. 35 % of their ancestry to the inland inhabitants. It is not illogical that these people were then called Finns because they colonized Finland and assimilated the true Fennorum. However, Tacitus’ description on Fennorum is based on hearsay, so it is probably mostly false. I'm not sure about that claim of no R1b in Brahmins. OK, it's definitely not a common marker among them, but there was some R1b in the Sintashta outliers, so I wouldn't be surprised if some of it went along for the ride to India with the main R1a-Z93-rich horde. There's R1b in Bhutan nowadays, so why not? Even so, the claim by Carlos that the main R1a-Z93-rich Sintashta population was Uralic speaking and Indo-Iranian languages came from those outliers is downright bizarre. It's possibly even dumber than claiming that Indo-European languages were introduced into the steppes by Y-haplogroup J-rich Maykop chiefs or someone similar from the south, who then wished good luck to Yamnaya and Corded Ware with their expansions and went to die quietly somewhere. Hopefully Thomas Olander will post video of the presentations as he did following a similar conference 4 or so years ago. Perhaps Mikkel knows - having himself been one of the presenters. Awesome! Thanks! Seems like sound is always a problem with these things. Good thing there are knowledgable Finnish posters to talk about Uralic stuff. One thing is for sure is even though early Uralic(s) had a big chunk of Artic Siberian anbcestry, most of the Siberian stuff in Finnish comes from admixture with Saami (ancient people related to them). mtDNA indicates Saami admixture as well. No offense meant, but I'm not certain that's correct, even if we do see that often claimed. The somewhat similar Mordovians and Kostroma Russians among others don't have any Saami. The amount of Saami admixture in the Finns may have been limited, or alternatively the modern Saami have way more ENA than they did a couple of thousand years ago before they absorbed a third (Para-Uralic?) group with very high ENA. Didn't the Bolshoy people have a significant amount? Well Iron age gnomes from Finland show Saami levels of ENA ancestry. They look like modern Saami. BOO people were roughly half ENA half EHG. They are too early to be proto-Saami although the did carry N-L1026 and a mix of Siberian and European HG mtDNA like modern Uralics. It is possible that Proto-Saami absorbing the ancestors of BOO in Finland is the reason for elevated ENA in modern Saami. Currently we dont have any aDNA from any cultures that likely spoke PU so it is impossible to say for certain. Perhaps they were BOO like or maybe WSHGs? I would also expect some steppe influences as well. One of the 'Alemanni' genomes is a foreigner, almost definitely from Italy. His GEDmatch results are most similar to modern northern Italians. Maybe, he's the first genome of an ancient Roman!! It looks, the Swabi/Alemanni were more 'northern' than modern people in southern Germany (they're descendants). Some kind of admixture pulls them 'south.' I've been arguing for years, that France & south Germans have somekind of southern European ancestry. Maybe, this admixture is fairlly recent but I have no idea what historical people to tie it to. Saami have almost only 2 very specific mtDNA. This tell me it's a quite recent population with strong founder effect. Probably connected to some new technology or economy. Both areas were Celtic before Germanics arrived. The Allemanic/Suebic and Frankish tribes were adstrates. But the Celts that expanded via the Hallstatt expansion likely were an adstrate themselves. Much of what are today southern German lands were lands of the Celto-Romanic population of the Roman Empire until well into the Migration Period. Early medieval Germanic individuals from those parts are new arrivals and it is normal for such individuals to show elevated northern European ancestry in comparison to the previous and subsequent inhabitants of those lands and the contemporary native inhabitants of those lands whose lands they invaded. Don't really think the result from the Allemani is surprising, the groups settled Celto-Roman territory, and I don't think any of us expected them to completely remove the previous populations. Maybe the ~50/50 Alemanni/north_Italian_like mix is exaggerated, I'd expect the previous population to be closer to modern central Europeans than any modern Italian is, so I'd aim towards something like 33/67 rather than 50/50. It's still a very cool find. Hmm. Well, maybe we could also take YDNA into account in Finland, and conjecture as to the autosomal look of the majority I1 population assimilated by the Finns. Perhaps they and the Saami and/or Bolshoy-related people cancelled each other out in the face of the arriving Finnic people, who perhaps did resemble their Volga relations. Just an idea. Also, much of the Germanic north where the Suebi originated from have been depopulated thoroughly during the Migration Period, and repopulated by Slavs from the East. Mind you, up until Northern Bavaria and eastern parts Schleswig-Holstein. So chances are that only North-West Germany and North and Middle Netherlands remains autosomically pretty much like the original Germanics. I suspect that Outram is sort of pretending to be controversial in regards to that point because, as he says, there's a new paper coming on the topic very soon, and I reckon the chances are very good that the horses at Yamnaya sites will look ancestral to modern domesticated horses. Limited Y-DNA data suggest that such horses were probably already present on the Pontic-Caspian steppe before Yamnaya, maybe in the Sredny Stog II culture. So yeah, I think the new paper will show that modern domesticated horses spread from the Pontic-Caspian steppe with the expansions of the usual suspects, including Yamnaya, but probably more intensely with the Sintashta and related cultures, which were much more focused on horse use and worship. Y DNA supports some Germanic ancestry in Italy. Maybe this guy isn't relevant to northern Italy. He might be from the city of Rome hence being more 'southern' than modern northern Italians. So, what happened with Indian aDNA paper? It is delayed again? Will it ever be published? Don't know. If it doesn't come out within a month then obviously something funny is going on behind the scenes. They should just get loads of samples from Pakistan and Sri Lanka from the Mesolithic to the Iron Age, and do a transect of time for South Asia based on them. There's no doubt that forces at India are stalling the paper for as long as doable. A siginificant amount of Indian/Hindu Nationalism is invested in rejecting any suggestion that the Aryan Migration/Invasion happened. Suffice to say, it's arguing against a caricature of the position Schuenemann has. He never said it was the total best representative of Egyptian population history. His paper even advocated for testing more samples. It said just what was the case from available data using modern technology. The reactionary paper even used the discredited DNATribes. is there a Slavic word related to the indo-iranian 'arya'? Regarding that Alemannic paper: Damned, I completely missed that one! Seems like following this blog without the comments doesn't suffice to stay up-to-date. I suppose the proto-Germanics were from the area of the Nordic Bronze Age, and thus the purest Germanics should have hailed from Denmark, Southern Scandinavia and northernmost Germany. And it looks to me like that Anglo-Saxon individual is still pretty much Jutlandic, with low, if any, Romano-British admixture. Expanding southwards, Germanics like him mixed with people from the northern Urnfield and Hallstatt culture, like Hallstatt_Bylany and Halberstadt_LBA, and with progressively French-like people towards the southwest. If I delete the French sample, then Italian_Tuscan reaches about 25% - but I think allowing for somw French-like admixture makes more sense, given her partial ancestry from northwestern Switzerland. 5.4% from the Southeast European-like Germany_Medieval outlier, that makes about 10.8% of this in my father's purely Alemannic father. Quite a difference to the admixture my grandmother takes. That's the low scale regional variation there. "is there a Slavic word related to the indo-iranian 'arya'?" Not likely, 'Aryans' did not spread North of the Oxus or West of the Caspian. The equivalent term in and around the Pontic Caspian and Eastern Europe is Dacian or Sarmatian and cognates. These are mutually exclusive terms just like German and English, Muslim and Christian etc. Use of the term 'Aryan' to denote all Indo Europeans is incorrect, and shows a poor understanding of the subject. Moreso, use of the term 'Aryan' to denote the Northern European phenotype is nonesensical given Aryans are historically Dark to Light Brown peoples from the Ganges all the way to the Tigris. European IEs have their own ethnonyms, and Aryan isn't one of them. Theres nothing special about the term Aryan, just one of many IE ethnonyms, and obviously it makes more sense for brown-skinned Punjabis to use that term than for Blonde people. Yet we continue to see some Europeans appropriating the term as some kind of signifier of Elite Europeanness, they might aswell call themselves 'Indian', as that would be no less incorrect. "get over your hollywood ideas of swarthy elites and aryan peasants." This guy, STJ, I put a long post on his fb detailing why it doesnt make sense for Aryan to be used as a signifier for Northern European phenotypes but the guy continues to use it. LukaszM on AG stated it wasn't out yet but the samples were already published. Same with the Polish early middle ages paper that had Wielbark samples. Going to be two very interesting papers. Damsgaard did that too, mind you. These people apparently like the amateur sphere.
" 'Aryans' did not spread North of the Oxus or West of the Caspian. " Essentially, scholars conclude that it may have existed in Proto-Indo-European and may have been borrowed from a Ugaritic (a Semitic language) word "ary" meaning kinsmen. The reconstructed word is "*haerós" denoting "members of one's own group" and may come from the PIE term *haer- meaning "put together". Descendants have been found in Hittite, Celtic languages, and Indo-Iranian languages. If it was found as far dispersed as Celtic, Indo-Iranian, and Anatolian branches, it may have also been used in others, but I do not know of any evidence yet. As for "who were the Aryans? ", people like Survive the Jive use it to describe any Indo-European speaking people, specifically the original ones, and if this reconstructed term holds true, he'd be accurate, but we need more evidence from other languages first. But, for the "aryans" that travelled east and eventually to India, they too would have looked like light-skinned Europeans, based on evidence. By the time they reached South Asia, they may have slightly mixed with Iranian farmers living in Central Asia, but they too were lighter skinned. The first to reach India may have been light-skinned too. However, by the time the Hindu texts were written, the authors likely matched modern Indians. Can you post a link for that list you sent to Survive the Jive? No, it doesnt make sense. According to the Steppe Hypothesis, if the original IEs called themselves Aryans, then I would expect the Scythians, having much continuity from Yamna, to continue to do so. Infact, Scythians were known as Dahae and Sarmatians (distinguished peoples in their own right), which are specifically non-Aryan according to the Aryans themselves. If Aryan is "Us", then Dahea and Sarmatians are "Them", as there was often enmity between them, and few other tribes are mentioned. We are talking about whether there was an ethnonym cognate with Aryan, not a cognate word that just means 'Kinsmen' without being a religious/tribal identifier. Also, I think my post on STJ fb was just the same thing I posted here. I am unsure if the original IEs (Yamna) called themselves something similar to Aryan, but if a reconstructed term can be made to PIE, it is possible. As for the Scythians, I do not think they had writing nor did their language survive to today in order to determine if they used the term. The closest thing to modern Scythians are the Ossetians (proposed as a remnant Scythian tribe). They do have a word "allon", meaning "legendary ancient people". So it is likely that the Scythians used it too. It doesn't matter if other groups didn't consider them "aryan" because they may have considered themselves it. This indicates that there is a cognate meaning "kinsmen" or similar in their language and therefore would indicate a tribal identifier. Do you agree to the possibility of the term being used by early Indo-Europeans as a tribal indentifier? I would agree that it didn't have a religious connotation yet. It likely took on a religious connotation much later, and probably only in Indo-Iranian languages when the migrants to South Asia absorbed other ethnic groups. By absorbing other groups into your group, the ethnic meaning of the word would have to incorporate others, so they may have switched to a more religious one. Us and Them happens a lot. The Indo-Aryans in South Asia become obsessed with the Devas (themselves) vs the Asuras and Danavas (the others), although with respect still for the great Varuna, equivalent to the Zoroastrian Ahura Mazda. We of course know "other" Asuras from the Norse/Germanic tradition, other Devas from the Greek and Roman traditions (gods), and other Danavas from the Celtic and Greek traditions (Tuatha De Danaan = Titans). It comes full circle with Uranus or Ouranos, at one time the same figure as, you guessed it, Varuna and Ahura Mazda, who must also have been called Danavas at one time. These appear to represent very ancient clan architectures from Archaic PIE times. So if Proto-Indo-European started to develope during the Hunter Gatherer phase they would have associated with Animals but if it only developed later what they would have named themselves according to their ancestor/ancestors=gods. "I am unsure if the original IEs (Yamna) called themselves something similar to Aryan, but if a reconstructed term can be made to PIE, it is possible. As for the Scythians, I do not think they had writing nor did their language survive to today in order to determine if they used the term. The closest thing to modern Scythians are the Ossetians (proposed as a remnant Scythian tribe). " The oldest dated Yamnaya cultural samples 3300+/-YBP belong to a specific R1b line (R1b-Z2109+). R1b-Z2103>Z2109 clones, have been found in the following cultures and may have had direct contact with other adjacent Steppe cultures/groups. No, all over the Middle East it is like this: "Me and my brother against my cousin. Me and my cousin against the rest". Yet tribes are almost always named after the forefather. Gathered together modern Europeans, with Beaker samples, and then some selected Bronze-Iron Age samples (mainly courtesy of David's European focused datasheet), including the Halstatt Bylany samples. Reprocessed through PCA. PC1 = NE vs South Europe (most extreme Baltic BA vs Minoan), PC2 = Iberia+NW Europe vs Eastern Europe (most extreme Beaker Iberia No Steppe vs recent Greek+Mordovian), PC3 = Iberia+NE Europe vs NW Europe+SE Europe (most extreme Beaker Iberia No Steppe vs Beaker The Netherlands + Sephardic Jews). (PC3, I speculate is about perhaps relating to extra European HG vs extra Steppe_EMBA, while PC1 is obvious, but these PCs are perhaps more relating to modern day and Bronze->Iron Age drift than cleanly separating most ancient populations). Comparing PC1 vs PC2, the Halstatt Bylany samples tend to overlap France and Germany today... However on the PC3, they seem outlying in being less close to NW Europe and closer to NE Europe and Iberia than is the case for modern day French and Germans, and don't exactly overlap any present day people considering all the data. Just keeping the Beaker samples and plotting the PC2 vs PC3 to find samples which are outlying in being relatively closer to Iberia and NE Europe relative to NW Europe, tends to find that non-R1ba1 haplogroups are overrepresented in those relatively shifted away from present day and Bronze-Iron Age NW Europe specifically. Old Irish ‘aire’, meaning ‘freeman’ and ‘noble’. Ario- and Aria- also appear in the names of Thracian and Scythian kings, i.e. Friedrich Schlegel, 1819, linked arya with the German 'Ehre', from Old High German ēra, meaning honour, credit, renown, respect, and also veneration, dignity, rank, favour. Cognate with Old English ār, meaning honour, kindness. This seems to make sense, however the relationship is contested and appears to have fallen out of favour. Does anyone think it's correct? I don't know if there are any similar related words in Slavic or Latin (Latin apparently adopted Aristo- from Greek). who admixed heavily with sons of Western steppe cattle herding cowboys produce? And that Arcenic seems to be running in our veins till this day... Heheheeeh. So a guy arrives in India and declare himself noble and seeing that the local inhabitants didn't understand what he was saying they thought he was mentioning his Clan name first during the introduction and the name stuck ? Are there any connection between Celtic and Germanic ? Both are the Plural of the word Lord. The Levant Chalcolithic paper is published in Science! They are all Y chromosome T1a1 and one E1b1b1b2. Amazing! I just removed a comment from someone or rather calamining that Europe was originally populated by fair skinned Basques and Uralics, and then colonized by dark skinned Asians who brought Indo-European languages with them. So please attempt to understand all the new data that are being published and try to stay up to date. Thanks in advance for your cooperation. Thanks, that is very interesting and an eye opener. Wonder if phonemes can be used to establish relationships between Pre-Indo-European Languages ? Or T1a1 maybe were locals who benefited more from the introduction of Copper Working ? Those Chalcolithic people in Israel were over 50% Anatolia Neolithic-like! But, the expression of their EEF ancestry in Y DNA is T1a not G2a. Just goes to show that several thousand years of isolation can change haplogroup composition in twin populations. This is also the case for mtDNA. The shared EEF-origin of mHGs in West Eurasia is hard to detect because of this. But, if you look hard enough you can find them. Shared ancient Anatolian ancestry is the source for much of the recent mtDNA links between Europe & SW Asia. mHG K1a is the best example. Its first expansions date to the Mesolithic. Its expansion in most of Europe is "recent" (Neolithic). Steppe folk had ~0% K1a, European farmers had ~20%. T1a is likely another Anatolian lineage. Many examples have popped up in the ancient Levant. Today, T1a is most common & diverse in the Levant. T1a1, the main form of T1a in Europe, is of Steppe origin but Steppe folk received it via EEF admixture. T1a1 was extremly popular in early Indo Iranians (Sintashta, Andronovo). More evidence of "CHG" like people moving around south of the Black sea. Not too surprising as we see them in the west from Anatolia to Italy and all the way east into India. Something really got into these people to move out of where ever "home" was for them. You see CHG-like groups, prior to steppe, going in every direction. CHG-like people included lots of populations who lived in multiple regions and weren't exactly closely related. The movement of CHG-like ancestry west into Levant and east into India were Neolithic farmers from Iran. They were different people than the CHG-like people who contributed to ancient Russian pops. Some of these populations with CHG-related admixture were closely related, like those moving west during the Chalcolithic and Early Bronze Age probably from what is now the Syrian/Iraqi/Iranian border zone. But others, like those that made into the Pontic-Caspian steppe and South Asia, were only very distantly related, probably going back as far as the Mesolithic or even the Upper Paleolithic. It was previously marked as "to be announced". Sadly no abstracts are available. The impact of human mobility on the northern European urban populations during the Viking and early middle ages and its repercussions in Scandinavia itself are still largely unexplored. Our study of the demographics in the final phase of the Viking era is the first comprehensive multidisciplinary investigation that includes genetics, isotopes, archaeology, and osteology on a larger scale. This early Christian data set is particularly important as the earlier common pagan burial tradition during the Iron Age was cremation, hindering large-scale DNA analyses. We present genome-wide sequence data from 23 individuals from the 10th to 12th century Swedish town of Sigtuna. The data revealed high genetic diversity among the early urban residents. The observed variation exceeds the genetic diversity in distinct modern-day and Iron Age groups of central and northern Europe. Strontium isotope data suggest mixed local and non-local origin of the townspeople. Our results uncover the social system underlying the urbanization process of the Viking World of which mobility was an intricate part and was comparable between males and females. The inhabitants of Sigtuna were heterogeneous in their genetic affinities, probably reflecting both close and distant connections through an established network, confirming that early urbanization processes in northern Europe were driven by migration. "The genome of the offspring of a Neanderthal mother and a Denisovan father"
The arya type element is very well known in early historic period sources in ireland in legal texts etc which define status. The term aire had a dual meaning of freeman and noble. The two most common freemen grades were Boaire (cattle freeman) and Ocaire (junior freeman) while the noble grades also used the term aire for lord and included aire desa, aire tuise,aire ard and aire forgail in that order of ascending status. They mean lord of lordship, lord of leadership, high lord and lord of command respectively and had differing attributes and roles in the system of clan, clientship and petty kingdom in early irish society. Thanks for the tibit the dude. With the same word also in a Celtic language, Arya can't be exclusive to the Indo Iranian languages. It must be a PIE word for someone in a prestigious position. Did, early IEs have an organized political/hierarchy system? It's hard to believe Bronze age, Chalcolithic societies could be that sophisticated. I imagine poetry preserving and adapting an amount of this language and its semantic paradigms. On the contrary, I think there had to be some kind of hierarchy. How did people manage to build Stone Henge and other ancient monuments without some kind of leadership structure ? How did people retain some of their Culture without some type of leadership structure ? Chickens and other animals have a pecking order, why would humans that were more advanced not have a pecking order ? However, I think it's conceivable if Anatolians came via the Bakans that by the time Hittites came into being in Anatolia the I speakers were quite diluted with gene flow from the Balkans. So, while both the Chalcolithic Blakan outliers might not give a signal, maybe all the early Bronze Age combined will give a signal. The idea behind that is that you then have not only a steppe component but also shared drift typical for the Balkans. Davidski: Some of these populations with CHG-related admixture were closely related, like those moving west during the Chalcolithic and Early Bronze Age probably from what is now the Syrian/Iraqi/Iranian border zone. If they start to be able to do chunk sharing / IBD segment sharing on ancient Anatolian and Steppe samples, if this prediction is correct, we should find a lot more specific sharing between the present Balkans and these Chalcolithic / Bronze Age Anatolian populations. Especially at the level of segments dated to 3000 kya. This should be quite significant, considering the CHG shift of the Iron Age Balkans and the Mycenaeans and Minoans, and that this CHG shift must mask a larger overall shift in ancestry (since Anatolian populations of CA/BA still mostly Anatolian Early Farmer derived). Particularly relative to NW and SW Europe, where such post-CA / BA segments should be almost absent, assuming all the CHG related ancestry there can be explained via steppe populations whose CHG ancestry diverged early on. East-Central Europeans (Western Ukraine, Hungary, Slovakia, etc.) should then be intermediate Balkans and NW Europe on level of segments shared with Chalcolithic / Bronze Age Anatolians? Since on clines looks like most/half of their ancestry derived from Baltic_BA (which lacked any Bronze / Copper Age links to Anatolia) and less/half level from Balkans Iron Age (which had Bronze / Copper Age links to Anatolia). If so, this should help validate the CHG ancestry expansion to the west and to the north and thence to Europe and elsewhere as genetically (culturally?) separate phenomena by Copper / Bronze Age. Which of the Balkans_BA samples are EBA? Keep in mind, however, that in the paper, the authors are modeling ALL of the Levant_ChL samples as ALL of the Levant_N samples, which isn't the case when analyzing with the Global25 data. @David, thank you for the Levantine Global25's. Can you please post the unscaled values too? Looking at this, I'm a bit more skeptical of Levant_BA South as not descended from Levant_Chl... It looks more like, at least here (and G25 is pretty effective), Levant_Chl is simply transitional between Levant_N and Seh_Gabi_Chl, then Levant_BA South is transitional between some Arabian Peninsula ghost population which is intermediate Natufian and Iran_N (and best represented by present day Yemenis and BedouinB), while Levant_BA North is influenced by Anatolia_BA / Anatolia_Chl / Armenia_EBA. The dimensions here specifically do split apart Natufian and CHG, and Iran_N and Anatolia_N, and so I'm wondering if Harney's paper has got their result from not using qpAdm which are insensitive to specific CHG / Iran_N / Natufian / Levant_N related drift**. *I removed a few populations with very high "East Eurasian" values on PC2 of G25. ** Harney's paper uses the following in qpAdm: "For all our analyses, we use a base set of 11 “Right” outgroups referred to collectively as “09NW”—Ust_Ishim, Kostenki14, MA1, Han, Papuan, Onge, Chukchi, Karitiana, Mbuti, Natufian, and WHG"
@David, amazing looking at all the new samples in that datasheet since I last downloaded your datasheet. Especially on the East and South Asian sample, the breadth of new sampled populations adds a lot of depth, esp some of the most interesting groups - Mlabri, Htin_Mal, Dolgan who really fill in and extend clines on the East Asian side. I wanted to ask if the Jomon sample from McColl et al was available; that should have a position well outside the clines on G25. But it may be inaccessible. I'll try and get the Jomon at some point. Those ancient North African samples are probably OK, but they weren't done via a proper genotyping pipeline, so I can't include them in the main sheets (from memory, they were genotyped with Felix's tool, which does often produce biased calls). thanks Samuel. The proto celtic form was aryo and appears as ario in compound Gaulish names. 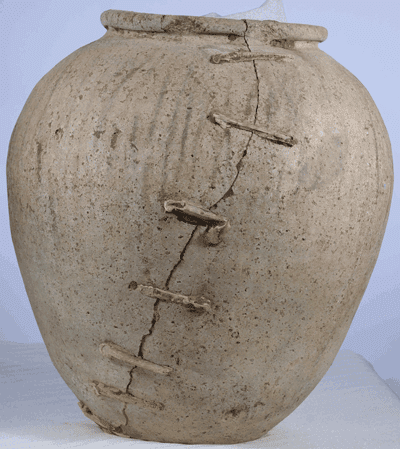 It goes back to exactly the same PIR root as the Indo-Iranian one does seem to have originally meant something like our people although it seems later to have developed a meaning of freeman or noble, perhaps to contrast their own self perceived higher status relative to lower status substrates in areas they moved into? Certainly the aire term in Irish society did not apply to those below free farmer status as the terms for social strata below them dont have the aire element. Those non-aire included landless tenants, serfs who were tied to the land and slaves. So, Levant_CHl is basically a continuation of Levant_N. Seems to be hardly different at all. OK. So there is a special genetic relation between Steppe admixted Balkans_EBA and Non-Steppe admixted BA Anatolians to the exclusion of the only possible Steppe admixted Anatolian we have. I can't make heads or tails of this. Does this disprove the link between Anatolians languages and Ezero? It doesn't prove or disprove anything. The stats are just picking up similarities and differences in the levels of very broad ancestral components, even as basic as basal vs. non-basal. This is not the type of analysis that can uncover fine scale relationships, unless you build on it by, for example, running a series of stats and then plotting them against each other. Yes. I have no patience for beyond-the-fringe ideas like "proto-CWC was R1b" (which is hardly more likely than OIT), but the geographical and ethnolinguistic bifurcation of R1b and R1a isn't clear-cut. Zhao et al. claimed that "P*" was found at a relatively high levels in all caste/religious groups sample, but not Q or other subclades of R1a, which seems odd, if not unlikely. It would seem possible that this "P*" included other subclades of R1a and R1b, such as the then-unknown "Asian R1b" (that you alluded to above), i.e. R-PH155 (R1b2) which has been documented in Bhutan (as well as Bahrain, Tajikistan and Turkey. According to other (possibly less accurate) sources on the web, relatively high levels of R1b are also found among Saraswati Brahmins (who historically came from areas around the present India-Pakistan border) and the Newars, a geo-ethnic group from central Nepal, who include a Brahmin caste (the Rajopadhyayas). "According to other (possibly less accurate) sources on the web, relatively high levels of R1b are also found among Saraswati Brahmins (who historically came from areas around the present India-Pakistan border) and the Newars, a geo-ethnic group from central Nepal, who include a Brahmin caste (the Rajopadhyayas)." This sample of Newars is also notable for its very large proportion of R-M124. IMO some of these Hallstatt Celts were part Scytho-Sarmatian, not part Balto-Slavic. @Ebizur – belated thanks for that source on the Newars. (btw) I should have emphasised that the only examples of R1b in that Uttar Pradesh sample (256 individuals) were two Brahmins and one Bhargava, i.e. zero members of other castes/religions. Obviously this tends to support the hypothesis that a majority of South Asian R1b represents ancient Indo-Aryan lineages (rather than post-Iron Age emigrations).